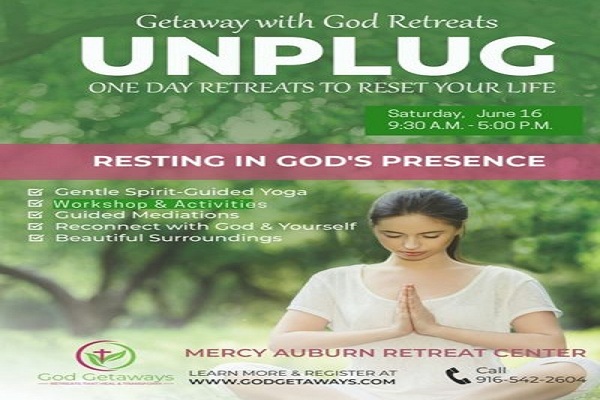 UNPLUG: One Day Getaway with God Retreats to Reset Your Life! 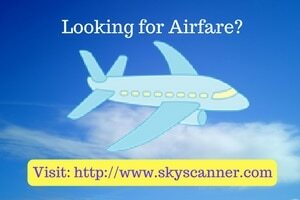 Early Bird Special Ends May 19. 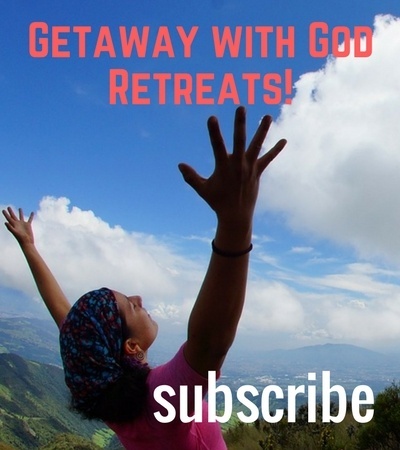 UNPLUG GETAWAY WITH GOD RETREATS provide a time to create a space to breathe. We all need regular times to get away, reflect, and let go of all that may be weighing us. This is a time to unplug from your daily life and activites and just be. It feels so refreshing and rejuvenating when we can set aside the cares of life to just be with ourselves and Father God. 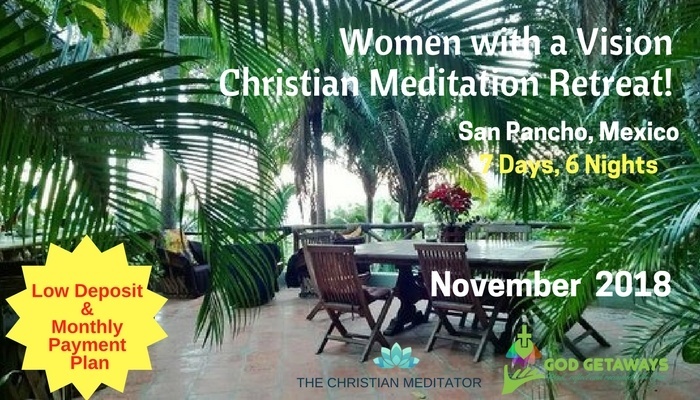 Coming to a wholesome, quiet, and nurturing environment with an experienced faith-based meditation teacher can help you to work through the obstacles keeping you from finding and maintaining your peace of mind. This faith-based retreat is open to everyone. You do not need to be Christian to attend, however, we will refer to Biblical scriptures and principles to guide us throughout our day. What to Bring? Sack lunch, yoga mat, journal, and favorite writing pen and wear comfy clothes. Subscribe & Check back soon for Monthly UNPLUG Retreat Schedule! More About God Getaway UNPLUG Retreats. 1. 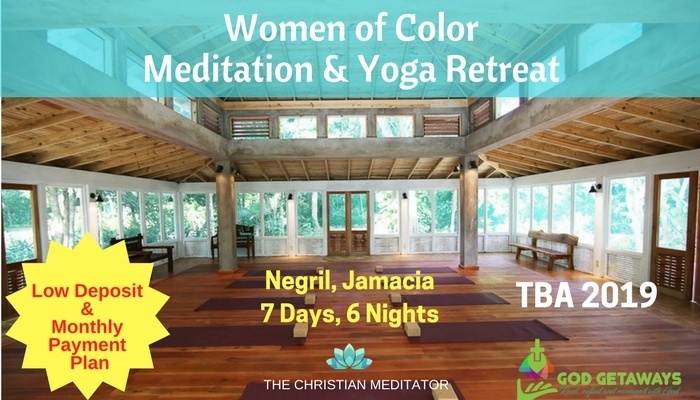 Relax- Participants will be guided through an hour long session of faith-based Christian yoga. This gentle and relaxing yoga practice will help them to unwind. Please visit my website, http://www.secretplacemeditation.com to see some sample of my Christian yoga classes. Please note: I can teach this class without any reference to yoga. It’s really all about stretching. 2. 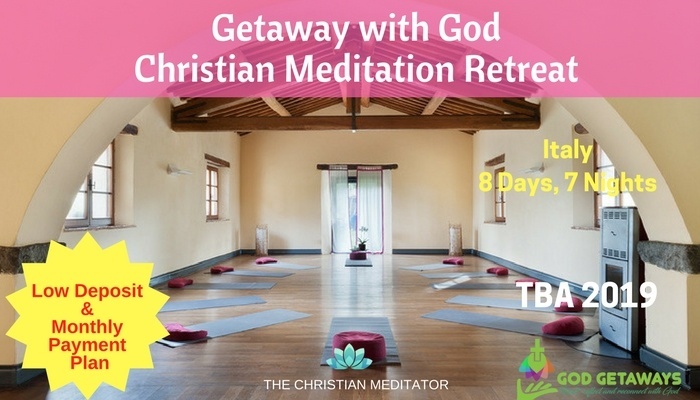 Release – In the most relaxed positions, I will guide participants through a series of guided Christian meditations with beautiful soothing music playing in the background. The meditations are both healing and rejuvenating and open the door to releasing toxic thoughts and emotions. 3. Replenish – Participants are provided with a healthy vegan or vegetarian meal that can be catered or provided by the hosts. This is also a time for fellowship and interaction. 4. Reset – During our reset time, we re-access and then re-route those mindsets, fears, and activities that don’t support us anymore. Through access our values and redefining our goals, we leave with a new picture for our lives. I will also give participants some tools to use when they feel opposition (spiritual or physical), confusion, or discouragement.